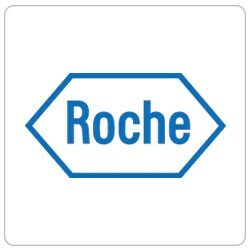 Product Specialist provides after-sales support to customers on Roche Diagnostics Product Portfolio. The person will be based primarily in Ljubljana with extensive travelling to Monza (Italy). > Advice to existing and potential users in the sales process. > We expect you to have at least a higher education in natural sciences, mastering the MS Office program, active knowledge of Slovene and English , Italian and Croatian languages are a plus, communicativeness, self-initiative, problem solving skills, ability to analyze and resolve situations while maintaining a high-level of customer service. > You should possess and apply moderate troubleshooting skills including: identification of the probable cause of a problem, identifying the corrective action, verifying positive results and if necessary escalating any unresolved problems. > It is desirable that you have good knowledge in the field of operation of medical laboratories and work experience by handling diagnostic equipment. > We are looking for a dynamic, proactive and challenging eager person.